The writing has been on the wall for quite some time signalling that the Willie Desjardins era with the Vancouver Canucks is over. And so began the search for the team’s next head coach. Rumours have swirled the last few weeks that they would hire Travis Green, the coach of their affiliate team, the Utica Comets. And while there are a few coaching vacancies league wide and lots of big names out there, Green seemed to be at the top of the Canucks list from the beginning of the search. And after a few weeks of speculating, it has now been officially announced that yes, Travis Green is indeed now the coach of the Vancouver Canucks. That is the story but all that I have heard since the news broke is how he cannot possibly be a good fit or that his tenure is bound to be an absolute disaster before it has even started. Yes, maybe it was the obvious choice. Yes, maybe he does not have experience coaching at the NHL level. Yes, maybe he was not the anticipated choice from some fans. However you feel about the hiring, one thing is certain, Travis Green deserves a chance to actually do the job before he is critiqued. Maybe he will make some bad decisions along the way but it’s not fair to attack when he’s yet to actually coach this team for even one game yet. He deserves credit for the impeccable job he’s done with Utica over the last 4 years and he deserves credit for his experience as a former hockey player. He deserves credit for helping to develop and mentor a bulk of the Canucks prospects over the last 4 years. He deserves respect as someone who has paid his dues to get here. He does not deserve to be compared to past coaches successes or mistakes, the decisions he makes will be his own. His mistakes and successes will be his own. Today, he was introduced to the local media and had a lot to say about his vision for the team moving forward and how he welcomes the challenge of coaching at the NHL level. You hear that, Vancouver fans? He’s ready for the challenge and he knows that the process is not an overnight magic fix, the process takes time. Let’s give him a chance to be the catalyst as the process moves forward. As much as there is youth needed, the veterans will also be called upon to help lead the way. He knows that players will come back motivated after a tough season and he’s not afraid to push them when needed or encourage when needed. There will be no guessing games for his players as to where they stand with their coach. Communication will be clear between both sides. He’s worked his way up from playing in the league to coaching at different levels before landing here in Vancouver. Yes, he doesn’t have any experience coaching in the NHL but his time coaching in the minors will help him as he navigates this latest step. Every NHL coach started behind the bench somewhere and this is Green’s shot. Welcome to the big leagues, Travis. Welcome home, coach! You’re officially one of us now! We are all Canucks. It’s hard to believe that the end of the 2016-2017 season has come and gone already. Where did the time go? Those looking from the outside could easily call the season a complete disaster and leave it at that. Some fans may even say the same but not this one. Yes, perhaps your stats were nowhere near ideal, a lot of things went wrong and the team had a lot of injuries but that doesn’t mean that I stopped supporting you. And yes, there were tough stretches, but the way I see it..it is during these tougher stretches that you need our support even more. This year was my second season being a partial season ticket member along with my sister and personally it was another unforgettable year for us as fans. And yes while there were difficult moments, it doesn’t mean we loved the game or the team any less as the year went on. When it comes to hockey, even in the worst of seasons, I still feel the magic walking into the arena like I did the very first time that I saw a game played live in the arena. 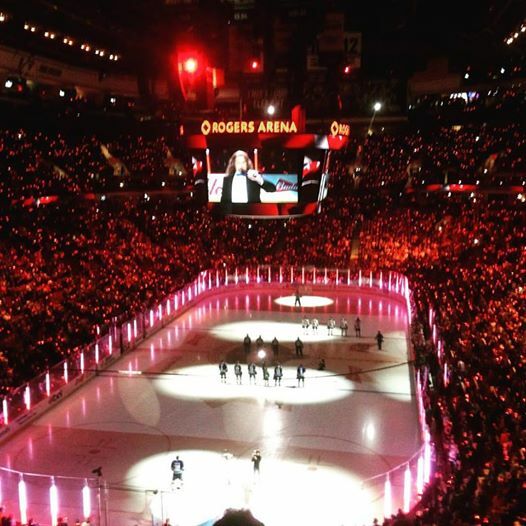 From walking in the doors, to finding our seats, to the lights going down prior to anthems to the crowd singing in unison to puck drop to final buzzer, no matter the score, there is something completely magical about seeing the team play live. There were definitely downs this season but there were also a lot of incredible things that happened. Up: Starting the season with a win streak on home ice. As a fan, that was all kinds of awesome for us to see to start the year. 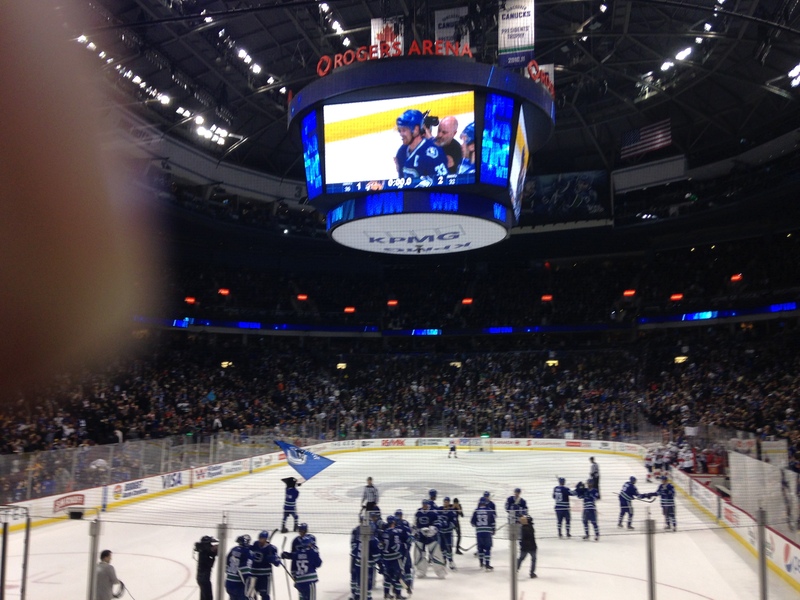 Down: being “shh-ed” at a hockey game. 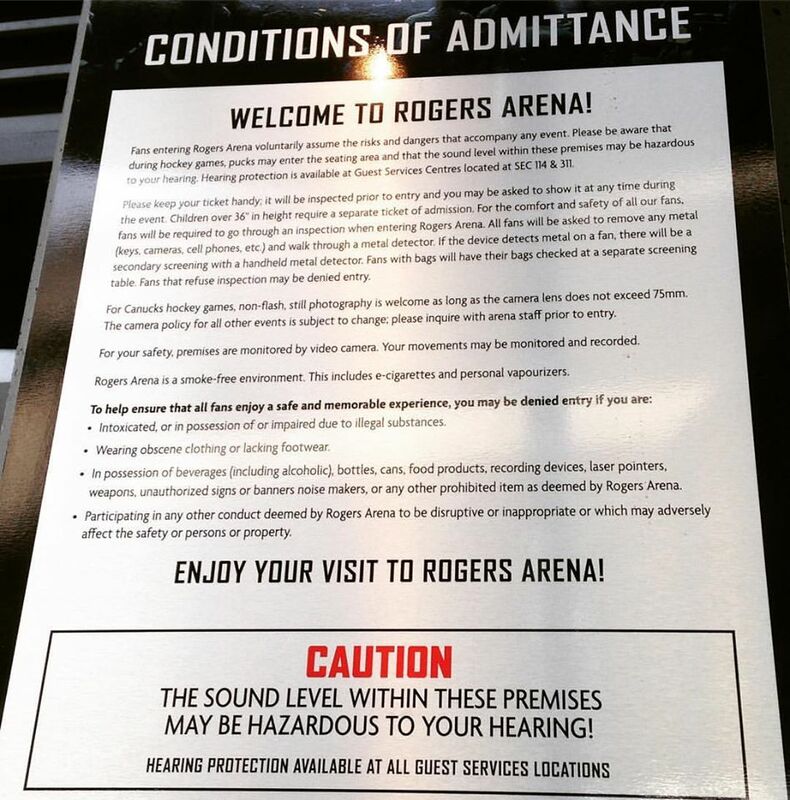 How on earth is a person supposed to be completely quiet when watching a game in an arena with 18,000 other fans? Answer, it’s impossible, fact. Down: This season was the first in a long time that more times than not, I was made to feel as though being a female hockey fan means that I am not a “real hockey fan”. Up: All of those who reached out to me after each incident and made me feel validated as a hockey fan and especially those who shared their own stories with me. Thank-you. Down: The injury bug hitting the team all season long. Up: With the injury bug that paved the opportunity for young players to step up. Troy Stecher and Nikita Tryamkin helped to steady and anchor the blue line and becoming fan favourites as the season went on. Up: Seeing the evolution of players like Bo Horvat, Markus Granlund and Sven Baertschi as they all had career years. Also seeing players like Nikolay Goldobin and Brock Boeser step up late in the season giving fans a glimpse of the future down the road was a welcome surprise. 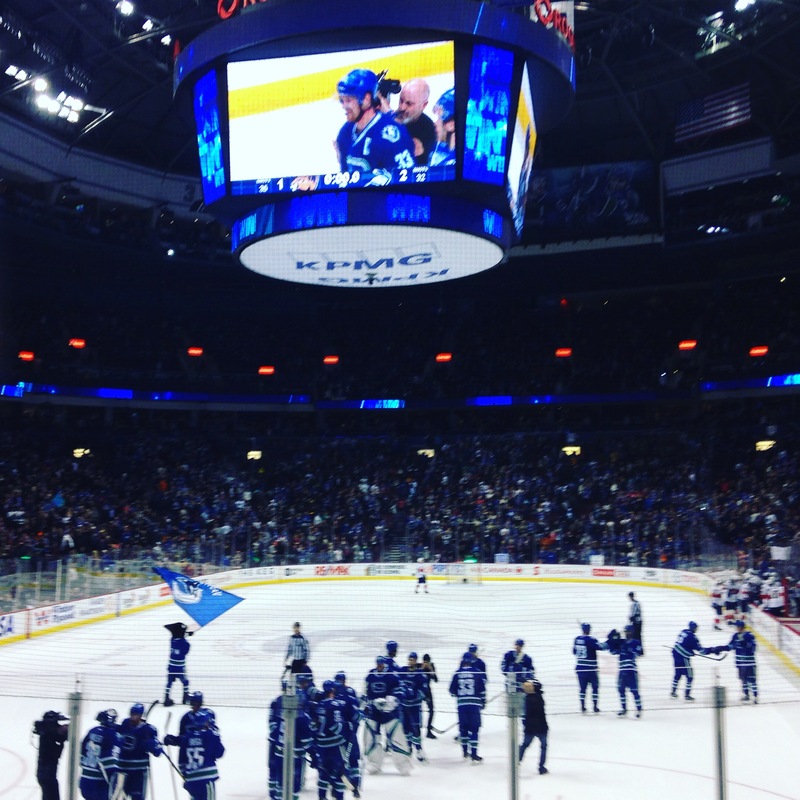 Up: Seeing Henrik Sedin reach the 1000 NHL points milestone live. Sincerely that moment is one I will never forget. 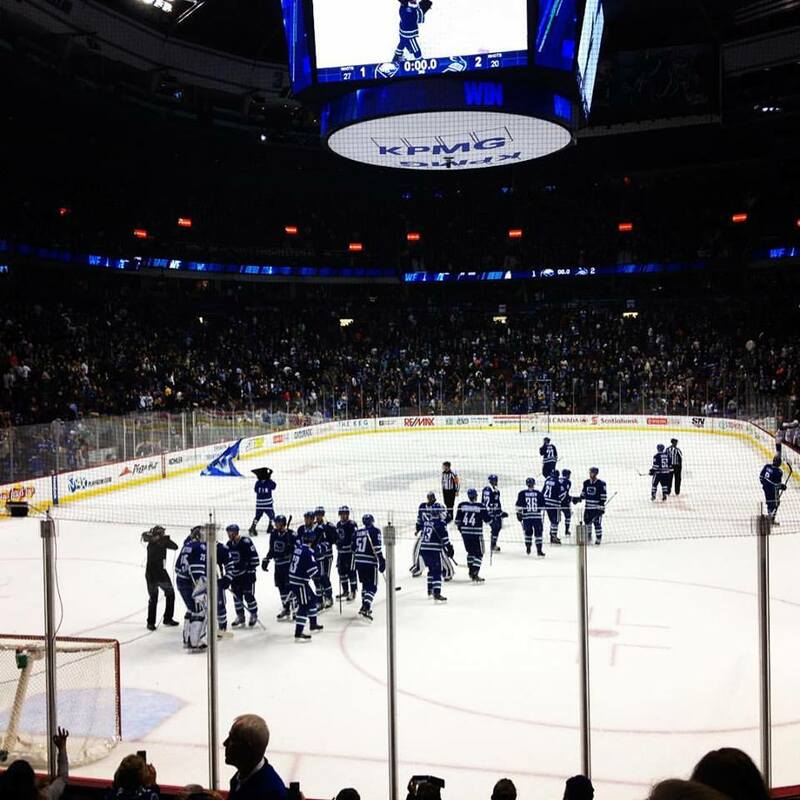 From the anticipation of the crowd leading up to the goal, to the play itself, to the entire team joining Henrik on the ice after the goal to the standing ovation, to the crowd singing “Don’t Stop Believing”, I can remember every detail of that night. We look forward to seeing Daniel reach the same early next season! 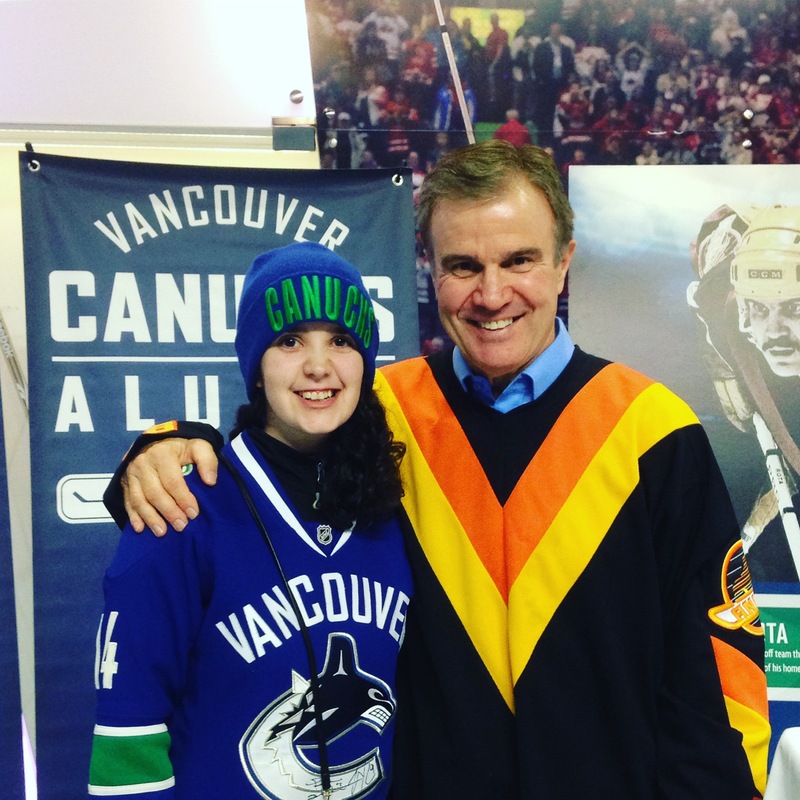 Up: Having the opportunity to meet former and current Canucks players. Up: The opportunity to be back as partial season ticket holders with my sister. Hockey is one of the things that bonds us together and despite what a lot of media have written about there being NO excitement about you, we had A LOT of great moments this year thanks to you. Thank-you for a truly unforgettable year of ups, downs and everything in between. And yes, the season may have been far from perfect but it still had a lot of magic. And just as I was a fan before this past season, I still am one today and will still be one for all my years to come. No stat, season record, or media outlet will ever change how or when I will support you. And as we have the last two years, we will be back in the arena supporting you again next season, loud and proud every time you hit the ice! No April Fool’s joke here, just the bold truth. When it comes to hockey and the Vancouver Canucks, I love everything about the game but this season has been a challenge not because of my team or any stat but because of my being a hockey fan who happens to be female. Lately I have been seeing a lot more of the dark side of being a female hockey fan. I’m not sure what is about this season in particular but this is the first time since the game stole my heart that I have had numerous experiences whether in the arena or attempting to engage in a hockey discussion that I have been made to feel that I am not good enough when it comes to knowing about hockey. And worse than any of the above assumptions about females understanding the game are the statements made about us or to us that cannot be repeated. Or then there is the fact that we may have differing opinions or perspectives and that according to many mean that we must be wrong. Having a different opinion or perspective does not mean either of us is wrong, it just means we see the game differently. Why is this normal? Why is this okay? When did it become acceptable and why is it still acceptable? This is 2017, if you love hockey at any level, all that matters is that you love the game not what gender you are. If you love the game, you love the game. I understand that there are fans who know more about the game than me and some that may know less BUT that doesn’t mean any of us are any more or less of a fan. I love discussing the ins and outs of the game and discovering new facets of it BUT that does not mean that I or ANY other hockey fan should be looked down on IF we know less or more than another hockey fan. Hockey is for everyone? It certainly has not felt that way at all for me this season. In an ideal world, the belief that “hockey is for everyone” would be true always.